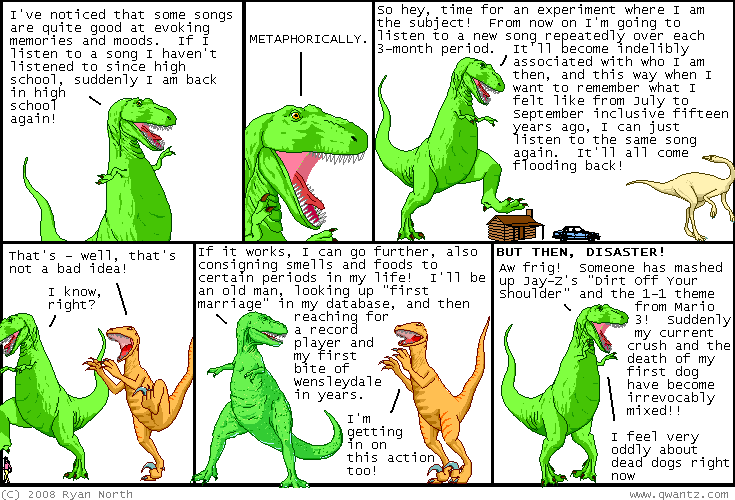 Dinosaur Comics - July 24th, 2008 - awesome fun times! –So! He was so wrong. July 24th, 2008: I forgot to mention that yesterday, July 22nd, was Pi Approximation Day! Today is Approximately Pi Approximation Day, however, so today you can just sort of rub pie around your face with a much greater margin of error. Math holidays, cats and kittens! I am a great business man if I mention I made a totally sweet shirt out of the Pi Approximation Day comic!